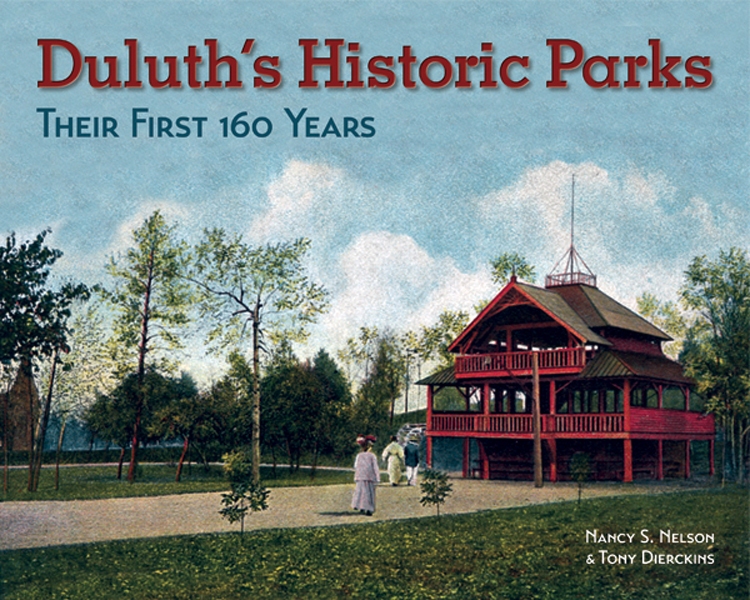 Zenith City Press is proud to announce that last night, Thursday, May 24, its 2017 release Duluth’s Historic Parks: Their First 160 Years, by Nancy S. Nelson and Tony Dierckins, took home the top prize in the non-fiction category of the 30th Annual Northeastern Minnesota Book Awards. This is Zenith City Press’s second NEMBA win in as many years, as last year Glensheen: The Official Guide to Duluth’s Historic Congdon Estate, featuring the photographs of Dennis O’Hara accompanied by text by Dierckins, took first place in the Art and Photography category. In honor of Duluth Parks Day May 19, Duluth’s Historic Parks, regularly $25, has been on sale (on our website only) for just $16.50—normally $25, a savings of 33%!—and 5% of proceeds will go to the Duluth Parks fund. In celebration of the book award, we are extending the sale through August. Preview or buy the book here. Congratulations! I was so happy to see the pictures and video taken. You guys do such wonderful work keeping the history alive. Well deserved. You produce the best history books in the country right here in Duluth. Congratulations!